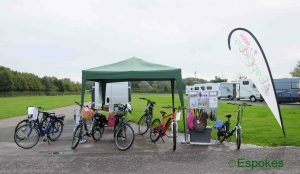 Espokes electric bikes will once again be showcasing a range of their ebikes at The Exeter Caravan and Motorhome Show. The show is being held at Westpoint Arena in Exeter, Devon, EX5 1DJ. This show which is on from Friday 9th to Sunday 11th March 2018 is run by the lovely people at Apple Tree Exhibitions and Shows. We attend their entire caravan and motorhome shows in the South of the country throughout the year which includes Exeter, Romsey and Bath Racecourse. Espokes will be exhibiting a range of electric bikes and folding ebikes ranging in price starting from £999. We will be on hand to talk you through the ebikes and even show you how the folders fold down. Although if you can’t wait for the show you can check out our folding ebike video below. 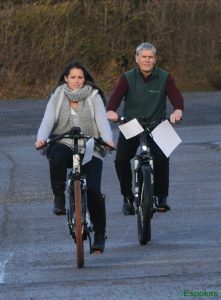 We will have a designated area where you can test ride the ebikes and can even supply you with a short hill. Like our facebook page for up to date information nearer the time on whereabouts, you can find our stand at the Westpoint Arena. We will have special show offers available on selected models, which you can ride away from the show. 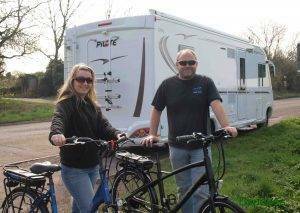 As well as visiting our friendly team at Espokes on hand to answer any of your electric bike questions, you will find all the latest motorhome models for 2018, as well as many pre-loved caravan and motorhomes. There is something to suit everyone’s budget and whether you are new to the world of caravanning or an experienced motorhomer, you will be spoilt for choice.